This Beach house kitchen is an artsy blend of metals and earthy wood solids and veneers which bridges the gap between cold modern materials and the natural warmth of real wood. Conceiled touch latched doors and self closing conceiled drawer slides. 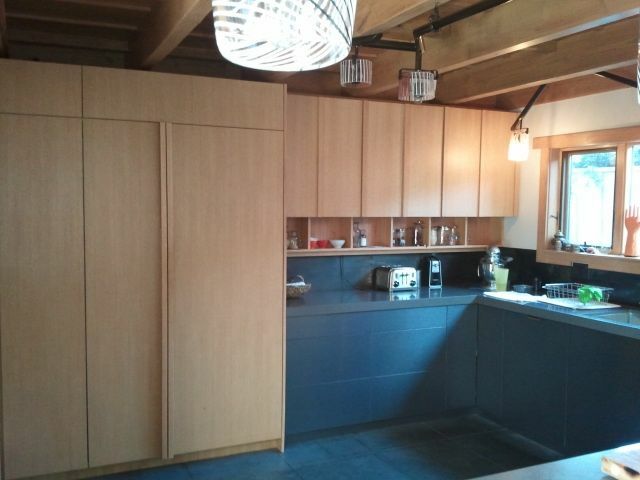 Metal Laminate clad doors and drawers. Ceasarstone countertops, fully conceiled appliances.